The S 1195 Evo is a folding table that does not give away this practical characteristic at first glance. It has clear, reserved aesthetics and high quality materials and processing. 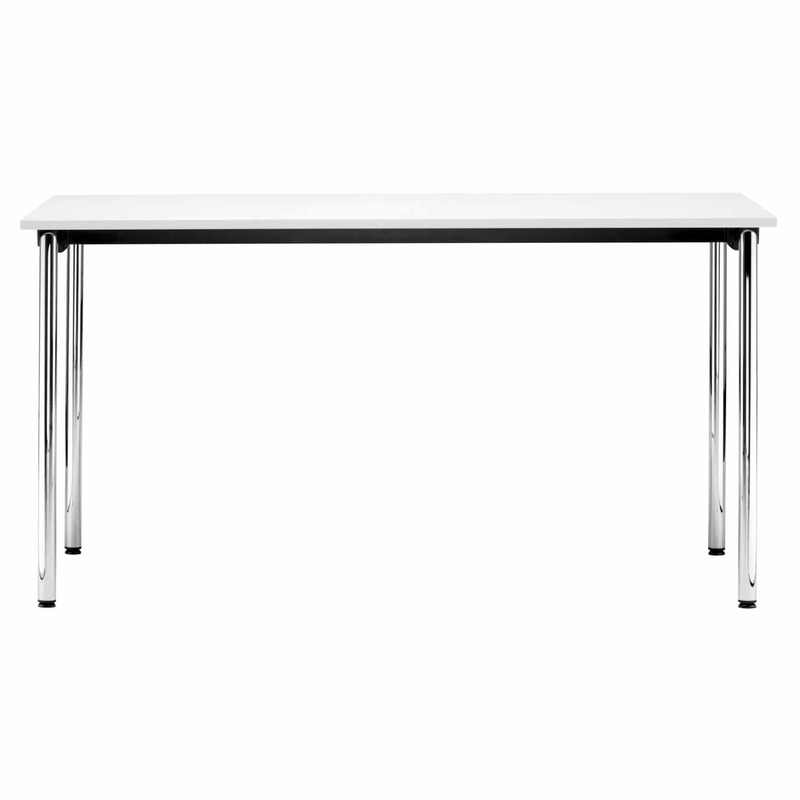 It is mainly used in the training and seminar sector, where its special features best come into play: the large amount of leg room due to the table legs being positioned at the ends of the tabletop, the easy assembly and disassembly, and the space-saving storage since the tables can be perfectly stacked with minimum space required when folded up. Matching carts with a push bracket are available for transport. 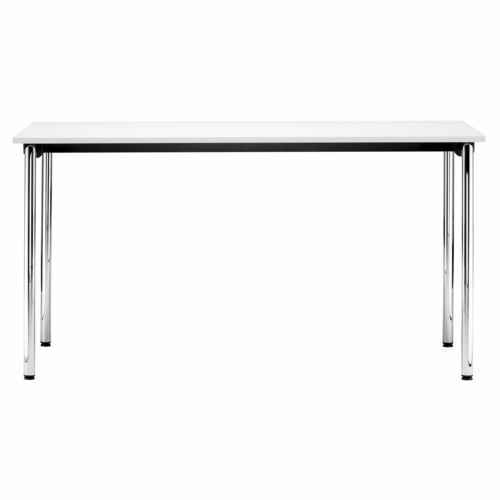 Folding tables in different sizes, table leg versions with chrome-plated round tube or round tube with mitred corners, tabletops with melamine resin coating. Transport cart with loading surface 160 x 80 cm and push bracket.